Experience a new way to communicate with your dog. The easy-to-use PetSafe VT-100 Vibration Remote Trainer features 16 adjustable vibration levels. You can teach standard commands or eliminate misbehaviour. 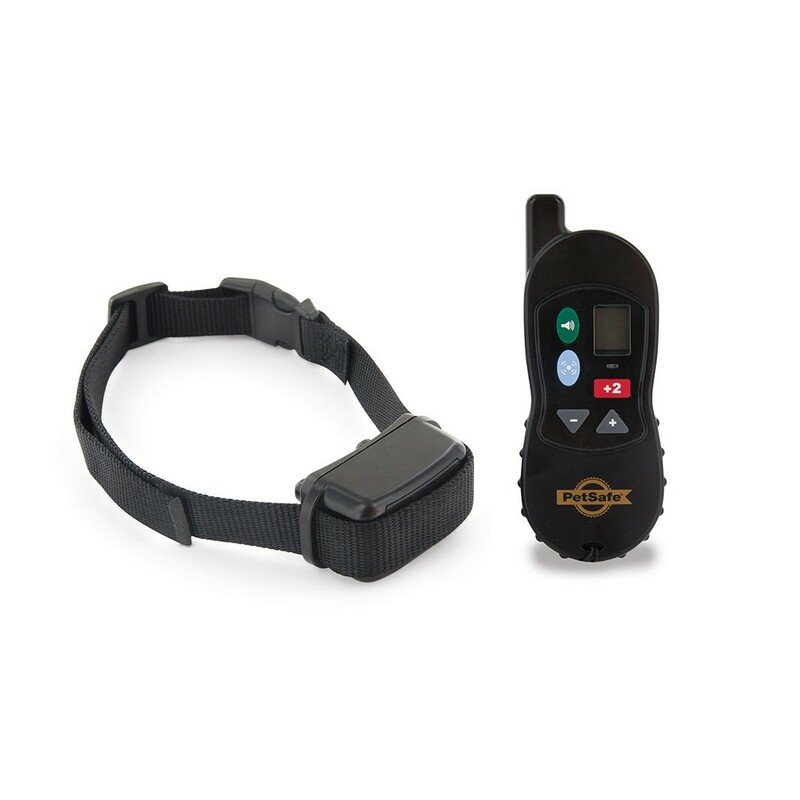 At the push of a button, the handheld remote transmitter sends a signal, causing your dog's receiver collar to vibrate. The vibration safely and effectively gets your pet's attention. You'll spend less time training and more time enjoying your dog. The random vibration pattern is perfect for training deaf dogs. Control your pet without a lead within a range of up to 100 metres. The trainer has been proven safe, comfortable and effective for both small and large dog breeds. Using the Remote Trainer consistently and correctly, any basic obedience commands can be taught and much misbehaviour that your pet exhibits can be corrected.